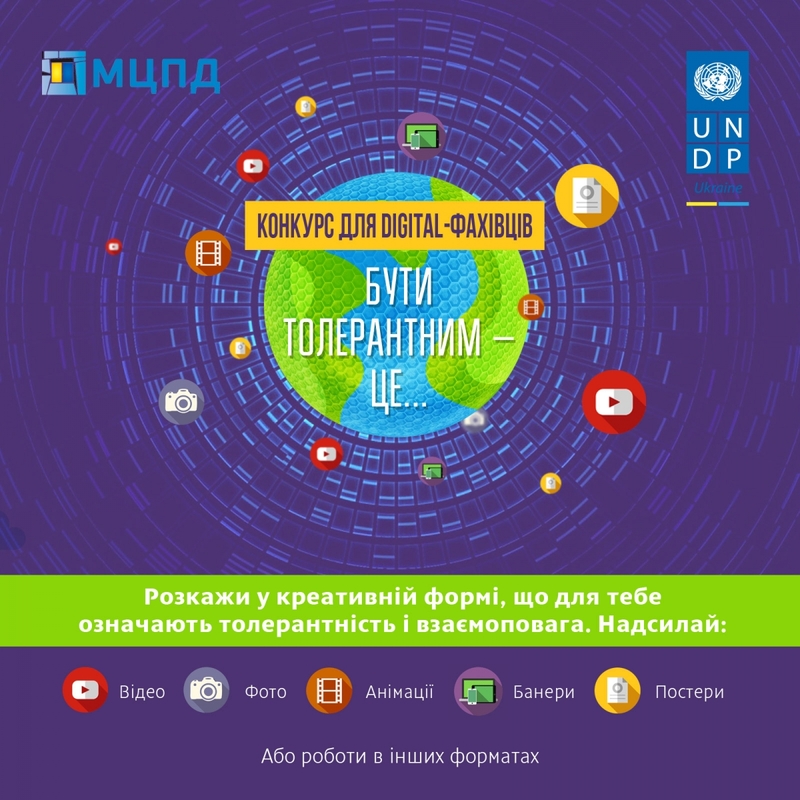 International Centre for Policy Studies announces a Creative Works Contest for journalists, bloggers, designers and digital content specialists “Tolerance” conducted within the framework of the UNDP’s communication campaign “Reinvent Respect”. This project aims to decrease polarization of the public mood and promote dialogues among different social groups. We invite you to highlight an issue of tolerance in Ukrainian society using the media content. To participate in the Contest you can provide any videos, photos, animations, posters, banners and any other creative works that you consider helpful in visualizing the term of tolerance and mutual respect. The relevant materials should be sent via e-mail office@icps.com.ua up to 20th February. According to the results of the project winners of the Contest will receive a ₴ 10000 reward, as well as awards from the International Centre for Policy Studies and the United Nations Development Programme in Ukraine. The UNDP Ambassadors for Tolerance will also give their special awards to the best works. The winners’ works will be used in projects of the UNDP and ICPS subject to winners’ consent. Awarding ceremony will take place within the framework of the final event of the project “In pursuit of respect” with the participation of the Ambassadors for Tolerance among whom are writer Lubko Deresh, Honored Artist of Ukraine Natalia Sumska, singer Katya Chilly, journalist Andriy Kulikov, writer Larysa Denysenko, artist Alevtina Kahidze, philosopher Myhailo Minakov, human rights advocate Evhen Zaharov, historian Gulnara Abdulaeva, TV presenter Slava Varda, writer Mariana Savka, musician and ecoactivist Pavlo Vyshebaba. February 14, 2017 at the UN headquarters in Geneva Ukraine presented its eighth periodic report for 66-th session Committee on the Elimination of Discrimination against Women (Committee CEDAW). According to the procedure of the reports presentation, public organizations of Ukraine prepared and submitted independent reports and participated in discussions with the Committee members. 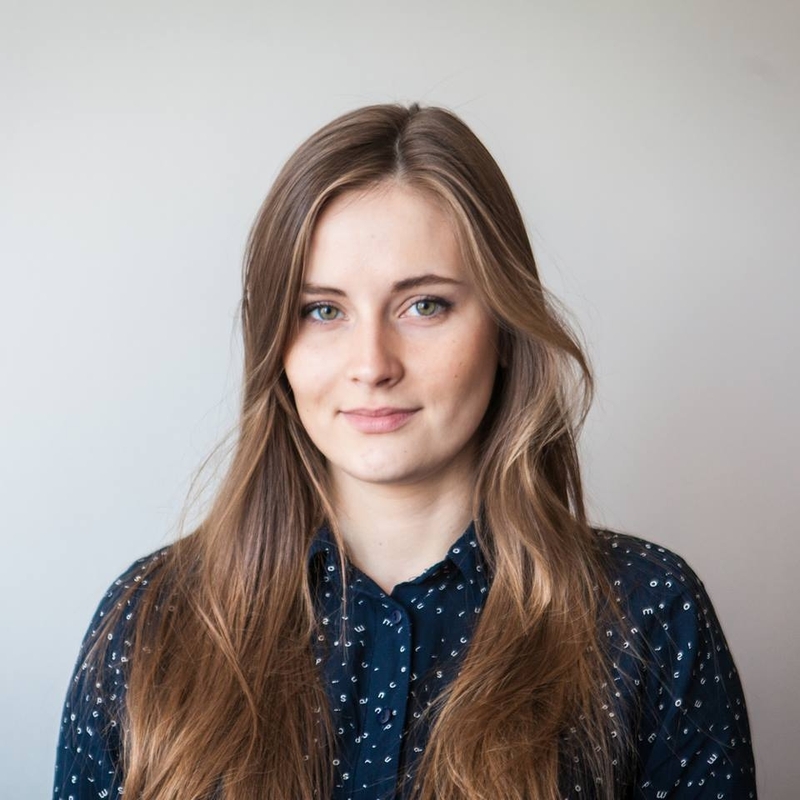 Mariia Veselovska, ICPS expert on gender issues, said that according to the report of the Committee the appropriate recommendations to the Ukrainian government were provided. In the report was presented the main problems of men and women equality in Ukraine as follows: • Women in Ukraine are 24% paid less than men. This indicator has not changed since 2009. • Gender-based violence is very widespread in Ukraine. 22% of women and girls aged 15-49 have suffered from physical or sexual violence at least once in their lifetime. •The percentage of women in power is quite low. The part of women working in the Parliament is 11% and in government - 12%. Overall, 16% of civil servants in Ukraine are women. Accordingly, the Committee members were interested in state level mechanisms existence addressing these problems in Ukraine, what obstacles should be removed to ensure equality between men and women, especially in politics and decision-making positions, as well as the problems of vulnerable groups of women as older women, women with disabilities, women from rural territories. NGOs highlighted in the reports a number of challenges faced by women in Ukraine: Reduction of social spending and jobs adversely affect the economic situation of women. A) Women and families are the primary beneficiaries of state social spending. B) That is women who are widely involved in areas affected by jobs reduction (education, medicine, social services). The report indicates problems for women in rural areas, in particular: "More than two-thirds of women from rural territories of active working age are working or self-employed unofficially. Thus, they are not protected by labor laws, have no social insurance and therefore can not receive pension». Separately highlights the problem of social payments for IDPs, most of them - 62% - are women, and a lack of sources of income for women who are in areas close to the line of conflict. International politics, diplomacy, issues of peace and security are traditionally considered as areas of male dominance and even explained by masculine terms. At the same time studies show that due to taking into account the views and experiences of women in conflict resolution, their involvement “beyond the protocol”, it is often adopting a less militarized and more stable and peaceful solutions. The event “Beyond the protocol: women participation in international politics in Ukraine and Germany” was held within the framework of the ICPS project, which is implemented in cooperation with the German think tank “Polis 180”. On this occasion it is also presented a photo exhibition which is created during the project implementation and meetings in Kyiv and Berlin – 15 portraits of female experts of Ukraine and Germany and their statements about women and international politics. People’s Deputy of Ukraine, Chairman of the Committee of the VRU on foreign affairs Hanna Hopko in her speech stressed the role of women in international politics and diplomacy, expressing gratitude to all the women who work on the diplomatic front, making every effort to defend national interests. “It is necessary to recognize that gender issues – it’s not just a matter of women and we have to involve as many men as we can. If similar event would be held in Sweden, there would be significantly more men”, - Ambassador of Sweden in Ukraine Martin Hagström said. In her turn, Ambassador of Portugal in Ukraine Ms. Maria Kristina Serpa di Almeida stated that for a long time area of politics and diplomacy in general were closed to women, but through overcoming of gender stereotypes, will and great desire of women they were able to take their rightful place and leave its mark in history. Public discussion "Civil service reform: is there a place for gender equality." International Centre for Policy Studies together with the Charitable Fund “Equality and Mutual Respect” held a public discussion “Civil service reform: is there a place for gender equality”. Civil service reform is a key to Ukraine, which aims to change the principles of public administration and the transition from oligarchic system to one that serves the interests of all citizens. 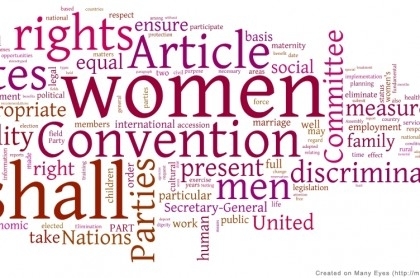 The success of this reform will depend, inter alia, on whether the principle of gender equality is provided and are there new opportunities for women to be appointed to high public posts for inclusive governance. Director of analytical work and external relations Olena Zakharova stressed on the challenges facing women’s leadership in government institutions, namely limiting of attracting women into “soft areas” (soft industries): health care, education, social sphere; the more influential institution is, the less it represents the interests of women. In particular, in the autocratic and dictatorial regimes virtually no women’s interests represented; several women occupy political positions through family ties, male family members involved in the policy; these women have a higher income and higher status. It was also interesting a gender analysis of lists of candidates for the positions of State Secretaries in the Ministries, in particular the Ministry of Education, the Ministry of foreign affairs, the Ministry of Youth and sports had no female candidates. Oksana Markarova, Deputy Minister of Finance said that the opportunity to equally participate in all spheres of life for men and women without creating additional preferences is the main goal. In addition, at the level of Ministry it is considered to introduce a gender budgeting mechanism that will allow it to plan costs, taking into account the gender factor. “We have to highlight the gender equality issue at the level of public discussion and debates, as currently this issue is secondary” – Inna Sovsun, Deputy Minister of Education and Science (2014-2016). Regarding gender strategies in education, its implementation and the main goal is firstly to overcome the very possibility of laying gender stereotypes from the childhood. Details of the presentation are available here. International Centre for Policy Studies and Charitable Foundation “Equality and Mutual Respect” carried out the award ceremony of political parties, People’s Deputies of Ukraine, politicians and civil activists and presented rewards “Equality and Mutual Respect” for the promotion the involvement of women in politics.The developments of the last three years in Ukraine have launched a deep social and political changes in the country, which positively affect the involvement of women to the political sphere. In particular, the beginning of the transformation of the political system from oligarchic to the democratic type opens new social lifts for new actors in the political sphere, especially women and actualizes the issue of gender equality in political parties. However, partial reorientation from male-focused discourse into the military sphere opens up new opportunities for women to implement in the political sphere as more safe. Although 30% gender quota does not transform into 30% of women representation in the parliament and local councils during the last parliamentary and local elections, political parties and actors realize that they will not be able to ignore this issue. Awards nominees were representatives of the governing bodies of political parties, People’s Deputies of Ukraine, members of the inter-factional deputies association which promote gender equality “Equal Opportunities”, and representatives of the Public Council on gender issues, political experts. As co-chairs of inter-factional deputies association “Equal opportunities” Iryna Lutsenko and Olena Kondratiuk stressed the importance and relevance of gender issues and presented their own experience. Party “Samopomich”, which received an award for achievements in the implementation of gender quotas on parliamentary level was represented by Lev Pidlisetskyi. He stressed the need for other parties to promote active involvement of women in politics. The main outcome of the award ceremony was precisely those positive changes which are supported by the parliamentarians and members of local councils, political parties, civil society towards gender equality. They contributed to the development of gender democracy in Ukraine. 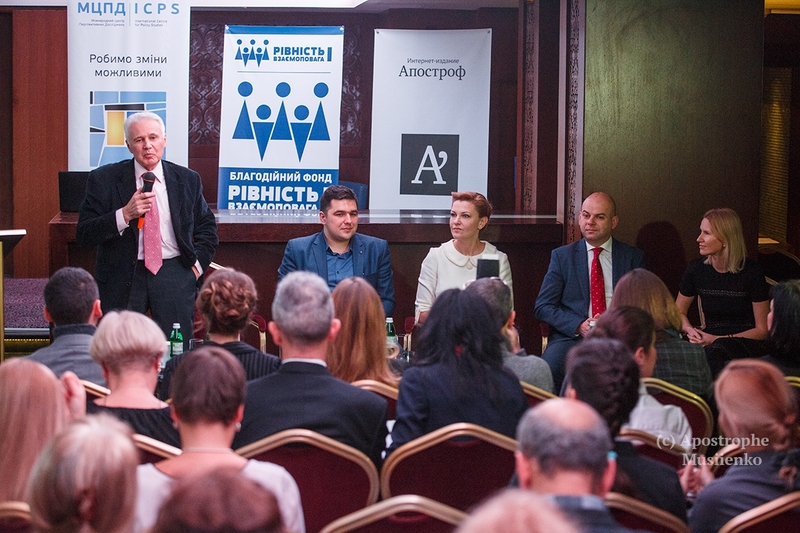 ICPS held a conference on "EU Gender Policy: is it Possible to implement the best European Practices in Ukraine?" 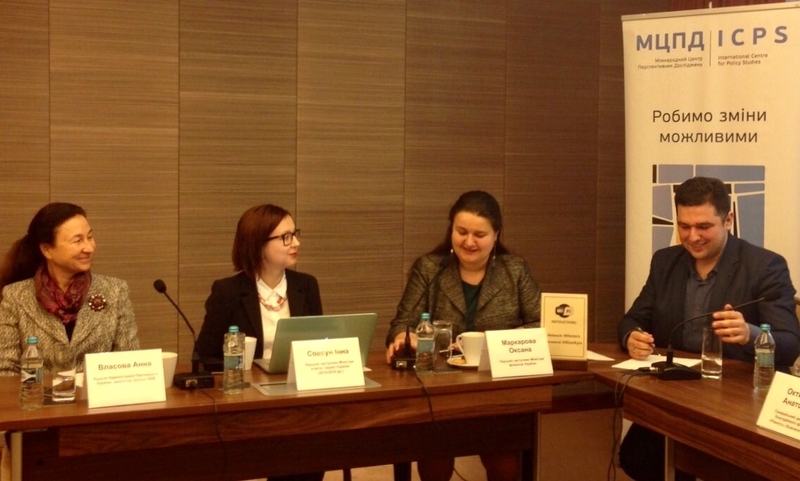 On 20 April 2015, the International Centre for Policy Studies held a conference on "EU Gender Policy: is it Possible to Implement the Best European Practices in Ukraine?